Have you ever rolled your eyes so much you literally couldn’t see anything for like 45 seconds? That’s exactly what happened to me when I watched Jeremy Benson’s independent horror drama Girl in Woods. It was so boring that it nearly killed me. But I persevered so you wouldn’t have to. You’re welcome. Grace and her boyfriend Jim drive to a secluded cabin for some much needed relaxation, specifically so Jim can ask Grace to spend the rest of her life with him. Once Jim pops the question and Grace accepts, the two head out for an excursion through the woods. Unfortunately, they don’t make it back due to a fatal accident that leaves Grace alone in the woods to face her inner demons. Allow me to backtrack a bit. Grace is on heavy anti-depressant medication as a result of having watched her father blow his brains out when she was just a little girl. So, what’s Girl in Woods about? The short answer is that it follows an unstable woman who has a mental breakdown in the woods. As a viewer, you aren’t sure if she is bipolar; and honestly, we never really quite find out. I was really disappointed with Juliet Reeves London’s performance as Grace. For the majority of the film, she was shouting and swearing. It was neither convincing nor believable. No matter what Grace did in the film, it always seemed phony. When Grace is first left alone in the woods, there isn’t any urgency to find safety. We spend the majority of the film’s runtime with Grace, which is a challenge to watch because she isn’t appealing. Jeremy London and Charisma Carpenter also appear but neither one of them really do anything to save this feature from itself. There are a lot of things that make Girl in the Woods painful to watch. Among them is the script. It was terrible, especially the dialogue. Girl in Woods started out seeming as though it had a lot of potential but unfortunately, it falls apart within the first 20 minutes. Overall, Girl in Woods attempts to be intense but fails. Perhaps it would have made an OK short film instead of a full-lenght feature. 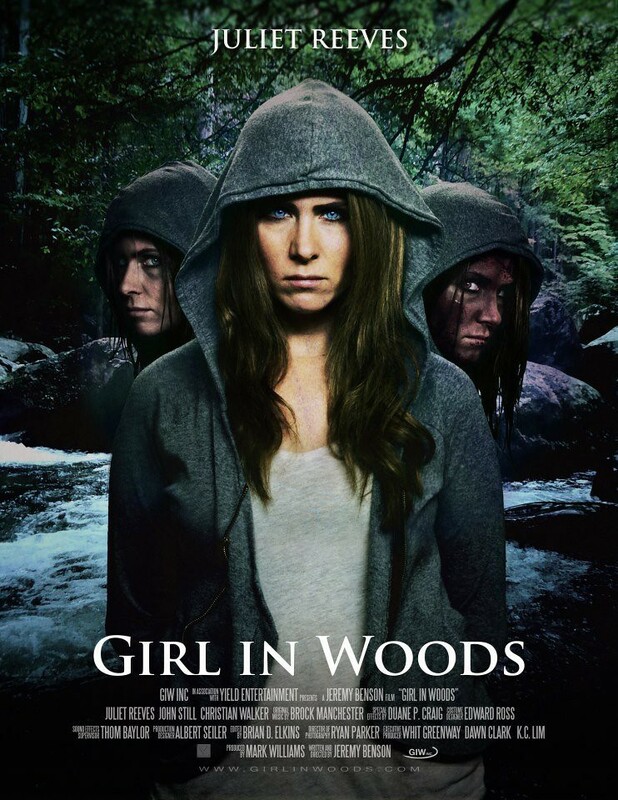 If you want to take a chance and watch Girl in Woods, it’s currently available on DVD/VOD. But I would suggest just skipping this one altogether...sorry, Jeremy! ½ out 5 queen skulls! Still not sure if you want to watch GIRL IN WOODS? Check out the trailer below!